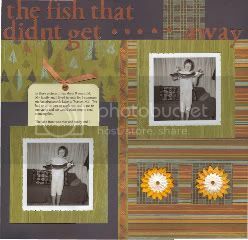 I used Cherish, page 54 called Interesting Variation to make this page. I also used Back Country paper pack. Yes, this is me 40+ years ago. Aren't those glasses just the coolest?